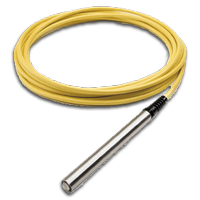 The EP-WL is the latest generation of wet pressure transducers. It provides the measurement of water head accurately and repeatability for Evaporation Pan water level fluctuation. The unit consists of a strain-gauge bridge-sensing element fitted to a housing of Type 316 Stainless Steel. The electronic circuitry is contained within sealed housing. The electrical connection is made via a multicore-vented submersible cable. 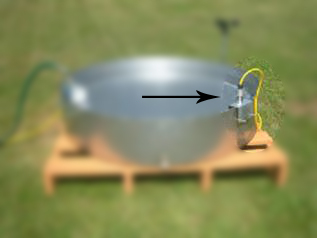 The submersible pressure transducer is placed on the side of the Evaporation Pan as shown in the photo below. Current Draw: Same as sensor output.